Practice is key to success in math, particularly at the elementary levels, and one popular way to accomplish the task is by using engaging apps. Apps have the advantages of offering stimulating activities that are intrinsically motivating for children. The action, sound effects, bright colors, and feeling of competition all serve to keep children engaged as they cement important understandings and build skills to the necessary automatic levels. Here are some of the best! 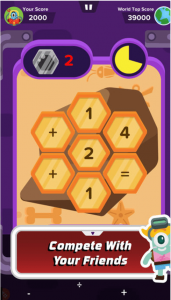 Zap Zap Math offers 2-4 games at each grade level from kindergarten through grade 6 to support learning and practice on a wide array of math topics such as computation, fractions, place value, and more. And that’s just in the free version! A subscription ($9.99) opens up over 150 games at the elementary levels. Each game has four levels, moving from a training mode through practicing skills and on up to application. Players can easily switch from one game or level to the next, and can even back up when they wish. The game is engaging, with an outerspace/aliens theme that features peppy background music and friendly, colorful illustrations. The games all have space-tastic goals, such as shooting for bragging rights by getting more points than peers or unlocking in-game achievements. 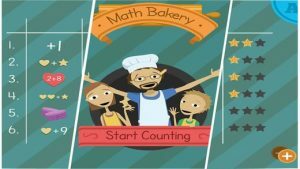 The Math Bakery apps are great for younger elementary students, providing practice and drill on counting skills, place value, and addition/subtraction. The first app focuses on learning about lower numbers. It helps children learn to distinguish groups of ten from ones-place digits and provides practice with learning to add and subtract. It includes 6 games and a competitive mode to keep youngsters engaged. Math Galaxy Word Problems Fun is a maze-based game that provides tons of application practice for students in grades 1 through 8 on a wide array of important math topics. Players guide a robot through the various mazes and must stop at specific points to solve a story problem before proceeding. This app offers practice not only on basic computation, but also topics such as fractions, decimals, ratios, and much more. It focuses on skills from the simplest math concepts from grade 1 all the way through pre-algebra skills. The developers at Math Galaxy have hit another one out of the park with these two apps. Players must solve problems to decode the answer to a silly riddle. Since most kids love riddles, these apps are highly engaging. They can be played by single players or with a partner. Whole Number Riddles challenges players to solve basic computation (addition/subtraction/multiplication/division problems) to unlock each letter in the answer. Fraction and Decimal Riddles give out letters to players who can solve equivalency, comparisons, or computations with fractions and decimals. Both apps offer a wide range of problem types and cover a range of skill levels, allowing younger players to join the fun and older players to be challenged. Kids from 6 to 11 will become heroes as they solve an array of math problems to change the zombies back into people and zap other zombies along the way. 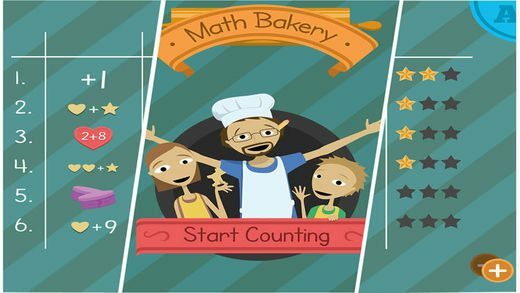 This app coaxes kids into practicing 7 important math skills including a variety of computation challenges, greater than/less than, and basic counting. Parents and teachers will love that progress is monitored relative to Common Core Standards. 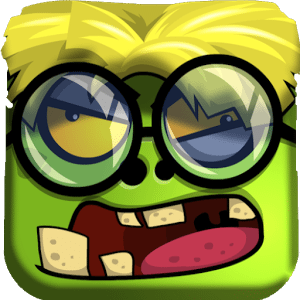 The app is very child friendly, in spite of the zombie theme, which might make younger users all the more motivated. The zombies are not scary at all, but rather are the cartoonish, silly variety, and all links and adult information is kept safely behind a parental gate.